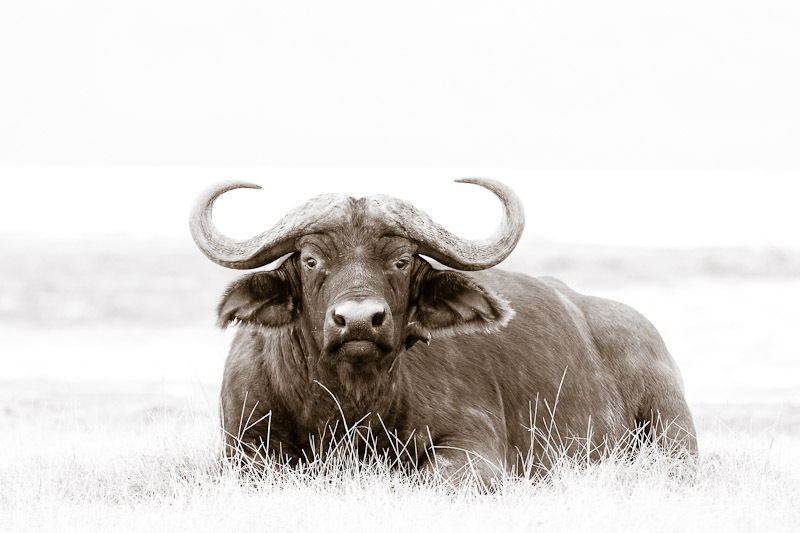 Sepia toned fine art photographs of African animals and landscapes. A cape buffalo lays down on the shore of Lake Nakuru while an oxpecker removes ticks from her ear. Lake Nakuru Park, Kenya.